Why Visit an HIV Specialist? Of the 1.2 million Americans suffering from HIV, 1 in 8 are unaware that they are infected. Dr. Alexander McMeeking has been treating and researching HIV for more than 20 years, helping patients live with this disease. His comprehensive patient care makes him one of the most highly qualified doctors in New York City.  How Is HIV Spread? There’s no telling where HIV can strike next. 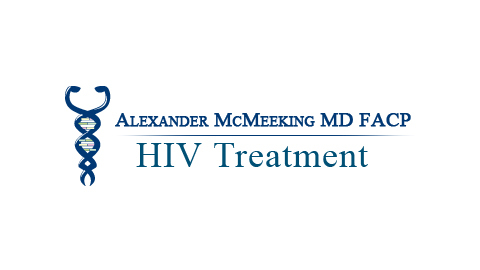 Dr. McMeeking develops a comprehensive plan to help patients manage and treat HIV. Live life on your terms with comprehensive HIV care.